Hello! 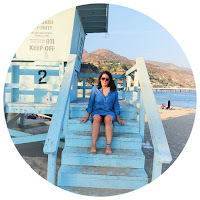 My name is Nikki Langworthy and I am a blogger over at Split the City and a YouTuber. I am 23 years old and love travel, beauty and food I live in London and love exploring each and everyday what this city has to offer. I've been following bloggers and watching videos on YouTube for years now and in 2014 I decided it was time to make my own space on the internet. I co-write Split the City with one of my best friends Martha and in 2016 I decided to be brave and start making YouTube videos where I share travel vlogs, monthly favourites and product reviews. To find out how to contact me, click the Contact tab!